Picture it: it’s your final Friday before school starts and it’s 4 years my friend, so you should really make it count! Don’t worry, Orientation has a wonderful day planned for you. It’s Friday morning and whether you have been to Orientation every day or if this is your first Orientation event you’ll want to head to Gould St under the Kerr Hall SW Arch to register or join your group in the Kerr Quad. You will be led by some of our inspiring orientation leaders – members of our Ryerson Orientation Crew or ROCs – who are upper year students volunteering their time to help you join the Ryerson community. Note: Please have either your Student Number or Ryerson Email ready. It is no surprise that university can be expensive and it can definitely be daunting handling your finances. Were here to make sure its as smooth as possible. In collaboration with RU Debt Free, learn how to create a realistic budgeting plan for your first year at Ryerson and discover some cost saving tactics that will make you and your bank account smile. Brought to you by the Ryerson Engineering Student Society, the Ryerson community comes together every year to raise money for Cystic Fibrosis Canada. We have tons of ways you can help: busk, car washes, and more. Pair up with your Orientation friends and leaders to work together for a good cause. And don’t forget to bring your loose change because there will be fun activities and yummy snacks! This event is brought to you by the wonderful folks at the The Tri-Mentoring Program and International Student Services. Visit Lake Devo where you can get a taste (literally) of all the multiculturalism at Ryerson University. If you’re like me, the only reason you are late is because you get lost. Find out where your classes are and avoid disrupting that class you are nervous about. With campus-wide tours running all day, soon you’ll know campus like the back of your hand! What?! More free food?! We’re not kidding! It’s another free lunch for your dining pleasure brought to you by RU Eats, your on-campus stop for eats. This Lunch and Learn, facilitated by the Ryerson Aboriginal Student Services, invites all students who are interested in learning more about the Aboriginal community on campus. Meet some new friends, and eat a free lunch. Delightful! The only people who shouldn’t come to this event are those people who hate laughing aka NO ONE. Hope to see your bright, laughing, pearly white smiles at this comedy show featuring interactive improv by Bad Dog Theatre. The mood is right for grilled cheeses and a cheesy movie, don’t you think? Don’t be embarrassed by your love of cheesy romantic comedies. Who doesn’t like a good rom-com every now and then? Cap off your week with a bit of sparkle! 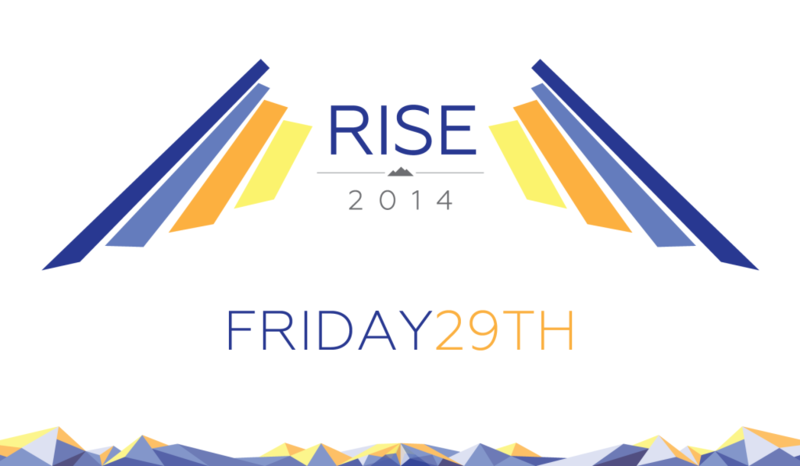 The Rise Gala is an annual event for all incoming students to dress up, dance, laugh, and enjoy the company of all the friends you have made and will make in your first week at Ryerson. Arrive early and don’t forget your Onecard or Rez ID. Please note: This event is for Ryerson students only. Previous ArticleWin a Nikon D3300 DSLR at RISE2014!Next ArticleENNA KIM | I Got An #LGG3!